Often a symptom of coronary heart disease or another heart condition, angina occurs when the heart muscle doesn't get enough blood. Although angina is typically marked by discomfort in the chest, pain can also affect the shoulders, arms, neck, jaw, or back. Since an increase in severity of angina symptoms can indicate worsening heart health or the threat of a heart attack, it's important to closely monitor your condition and notify your doctor of any changes. You should also seek immediate medical attention if your chest pain lasts longer than a few minutes and doesn't subside after you take angina medication. Treatments for angina include the use of medication (such as nitrates, beta-blockers, and ACE inhibitors) and medical procedures (such as angioplasty and coronary artery bypass grafting). Doctors also recommend making lifestyle changes (such as following a heart-healthy diet and a safe exercise program) to help control angina. 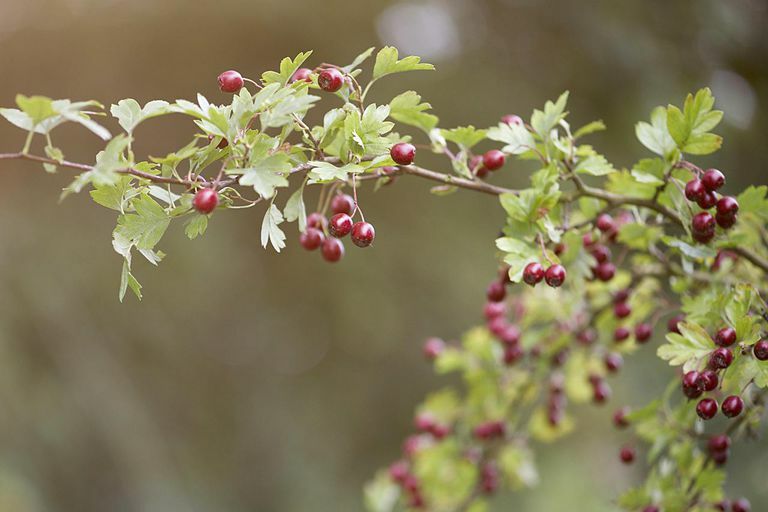 Often used by herbalists for high blood pressure, the herb hawthorn has been found in preliminary studies to aid cardiac function in people with heart disease. Derived from the amino acid lysine, L-carnitine occurs naturally in the body and is also sold as a dietary supplement. According to alternative medicine practitioners, L-carnitine may help to decrease the swelling that causes arteries to narrow. L-carnitine was found to improve exercise tolerance in people with stable angina in a 2000 study. In a 1999 study of 93 people with angina or risk factors of coronary artery disease, researchers found that a 14-week yoga program helped improve heart health. Other relaxation techniques (such as meditation and tai chi) may help manage angina by lowering your stress levels. Stable angina is the most common form of the condition. Each type of angina requires a different type of medical treatment. If you're considering the use of any form of alternative medicine, talk with your primary care provider first. Self-treating a condition and avoiding or delaying standard care may have serious consequences. Ahumada C, Sáenz T, García D, De La Puerta R, Fernandez A, Martinez E. "The Effects of a Triterpene Fraction Isolated From Crataegus Monogyna Jacq. on Different Acute Inflammation Models in Rats and Mice. Leucocyte Migration and Phospholipase a2 Inhibition. " J Pharm Pharmacol. 1997 49(3):329-31. Iwamoto M, Sato T, Ishizaki T. "The Clinical Effect of Crataegutt in Heart Disease of Ischemic or Hypertensive Origin. a Multicenter Double-Blind Study. " Planta Med. 1981 42(1):1-16. Iyer RN, Khan AA, Gupta A, Vajifdar BU, Lokhandwala YY. "L-Carnitine Moderately Improves the Exercise Tolerance in Chronic Stable Angina. " J Assoc Physicians India. 2000 48(11):1050-2. Mahajan AS, Reddy KS, Sachdeva U. "Lipid Profile of Coronary Risk Subjects Following Yogic Lifestyle Intervention. " Indian Heart J. 1999 51(1):37-40.